AB Chr Jensen with headquartered in Malmö, is parent company of the Company Group. 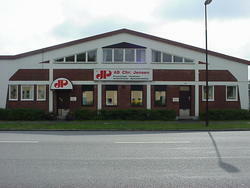 AB Chr Jensen was founded in 1879 and is one of the oldest companies in the world specialized in PVC-coated materials. Jensen Ventilation with headquartered in Malmö and production in Lund, manufactures and sells flexible ventilation ducting for mines, tunnels and underground work. Jensen Ventilation offers different options for quality, design, interconnection and custom-designed solutions for a complete ventilationssystem. Jensen Ventilation is represented by agents around the the world. Scandinavians leading producer of PVC coated products, tarpaulins, industrial halls, truck coverage and other specially designed products. 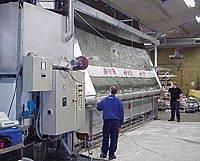 Jensen, ProClean manufacturing fully automatic washing machines for tarpaulins and party tent.